Upon holding my first-ever holidy cookie swap last Sunday, I sought out an effortless yet interactive brunch item that would satisfy guests without stressing out my hostessing routine. Enter: the "build your own oatmeal bowl" bar. 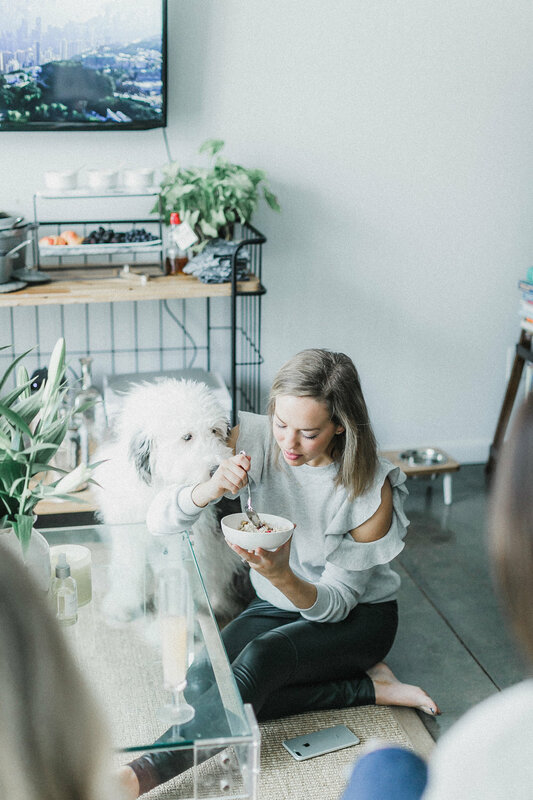 Dynamic and feasible -- and, not to mention, extremely cozy for this time of year -- oatmeal provides expected simplicity with low-maintenance monitoring. I simply stirred a large Staub of skim milk-simmered whole wheat old fashioned oats and placed it on the buffet moments before the girls arrived. The room temperature-friendly toppings (listed below) were placed earlier in the morning on a two-tier server in a variety of mini bowls and dishes. The cranberries (keep scrolling for the recipe!) kept warm in a mini grey Staub cooker. Whether a Christmas morning family breakfast or a girls' winter gathering, I highly recommend an elegant oatmeal offering for your next party! 1. Preheat oven to 400 degrees. 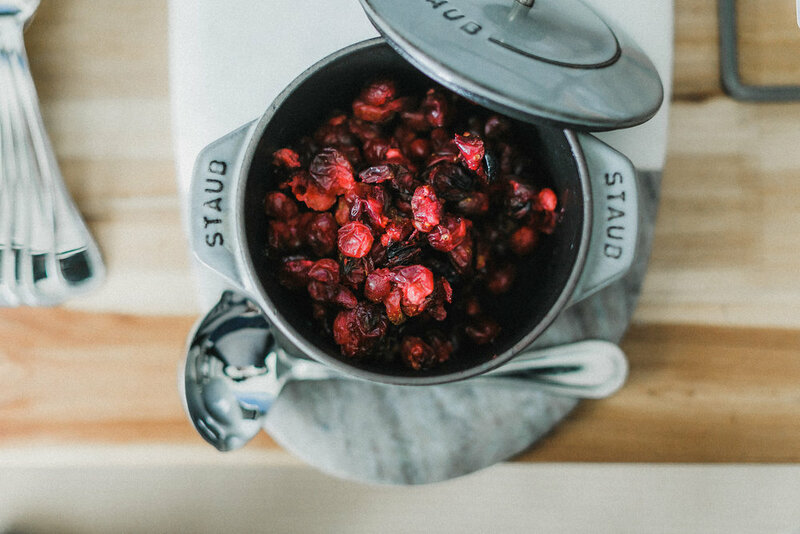 Line a baking sheet with parchment paper, and toss cranberries in maple syrup and coconut oil to coat. Dust with cinnamon. 2. Roast for 15 minutes, or until cranberries begin to burst. Remove from oven and slightly cool before transferring to a serving bowl.